Two posts a year is good right? Well I am going to pretend it is and aim to post a bit more. We have been busy but wanted to post a couple of updates. 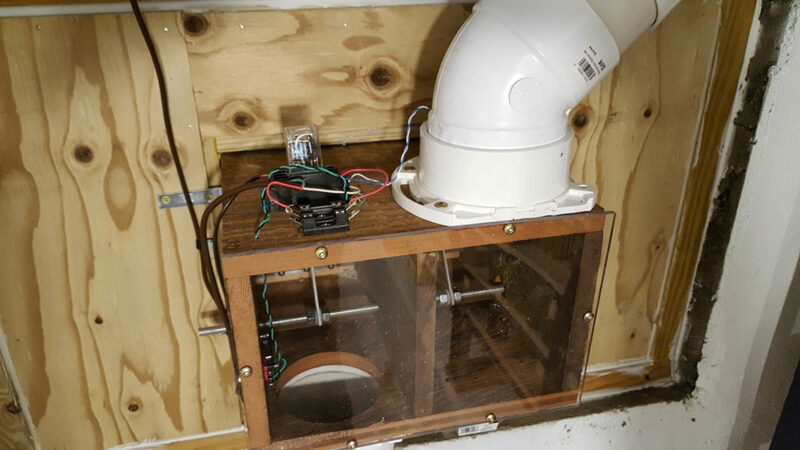 The first is we are going on a year with our first dive into home automation and monitoring with the RaspberryPi – we have a cellar that we automated the ventilation of and built in the ability to monitor it anytime any where. Additionally, we have a monitor on our chest freezer now that is our cache of meat from hunting and odds and ends from the garden, the freezer is older than me and it would be devastating to lose it and know about it. The freezer is pretty simple, actually both the freezer and the cellar are quite simple and just make efficient use of technology to do what would take us time everyday to do, should we open the damper in the cellar? Is the freezer staying cold enough? At some point in the near future I am aiming to have complete write up of both but today I will give you the top line description of the cellar project. 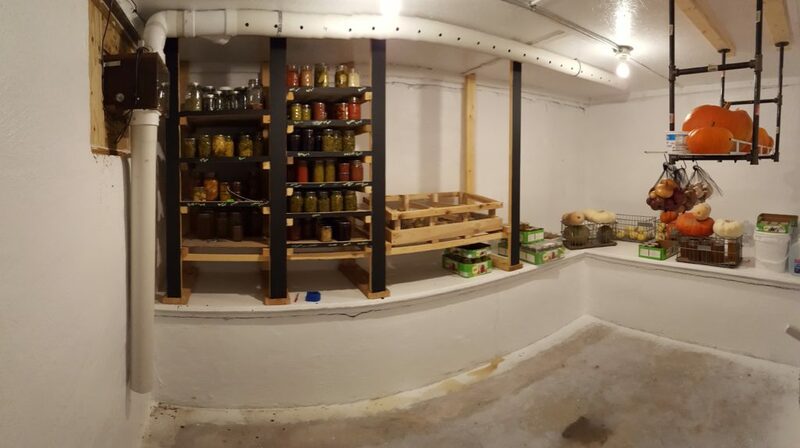 In the north east corner of our basement was a room that because of how the house was built was buried on three sides with one interior wall. On the north end of that room was a window that needed replaced, as did the other three in the basement. These have been since replaced, but back to the cellar. The window in the cellar was replaced with an insulated wood panel, in the middle of that panel was a home built damper we built with a small motor wired to a couple of limit switches and a relay. In addition to opening and closing the damper baffle the relay controls a fan used to boost convection when the damper baffle is open. This relay is driven by the output from the RaspberryPi, a picture of the damper can be seen below. The RaspberryPi reads the temperature and humidity of the the cellar in two places as well as outside, additionally it monitors its own battery to make sure that should the power go out and the battery get low it will shut itself just in case it is a bit too cold outside. Sure we could look at a thermometer outside and compare it with the temperature inside and make a decision but the RaspberryPi can do it all night and day everyday. More soon on this build but I wanted to put some time between implementation and documentation, like a year. One more teaser picture below that was poorly stitched together by my phone. 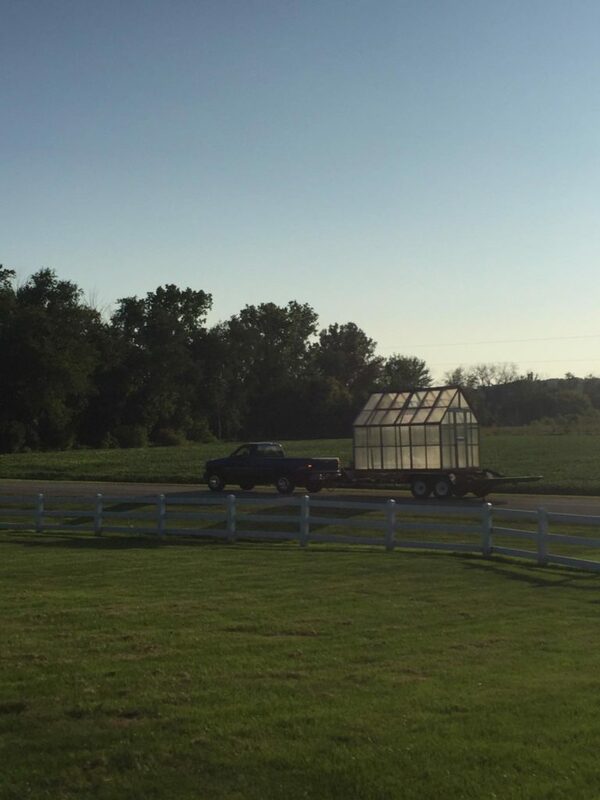 And finally, since we have been over here just sitting on our hands, we were gifted a greenhouse this fall. Not something we had planned on but it came up on Craigslist and we were reminded how small the world is. But we picked it up, moved it 10 miles down the road and its sitting in the barn being refurbished, I think I smell another Pi project coming. In the interest of total disclosure, my wife’s initial observation of these was, “those are some nice looking turds”; and for that reason a recipe without a picture (and you are not getting a thousand words either). 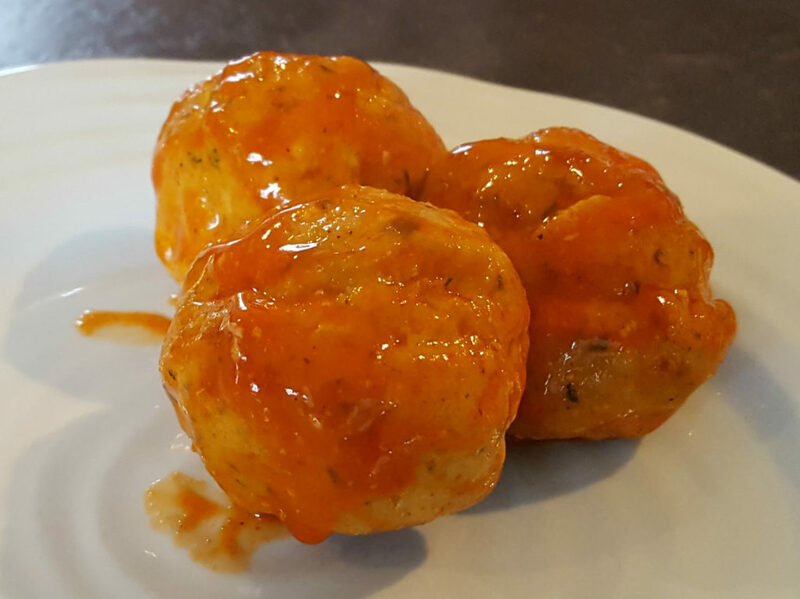 A picture would be super helpful but these are a dry, no sauce, meatball – but they are not short on flavor. Preheat the over to 400°F and line a baking sheet with parchment paper. 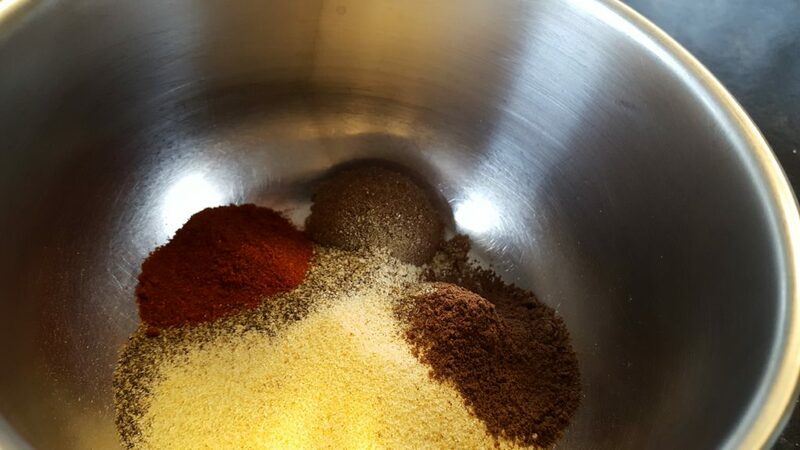 Mix together all ingredients except the almond flour, if using unground meat chop meat into 1″ cubes and thoroughly mix them with the other ingredients, grind all twice through a fine plate. Add in almond flour and mix thoroughly. Using your hands, form into 1 ounce meat balls and placed on the previously lined baking sheet. Bake for 10 minutes and then turn the broiler on high for a minute or so to brown the meatballs. Just another in a list of venison recipes, but something different. If these are not spicy enough (they are not spicy) serve them with some Sriracha. Picture this, you have just breasted out your spring tom and you are ready to throw out that carcass, but wait! Not so fast, grab the rest of the meat on the carcass, sure the drumsticks might better suited for chicken feed but those other bits, grab those and hang onto them for your next big game tailgate. These are simple, don’t grind those bits right away, save them until you are ready to make these. If you working with previously ground meat, obviously you will not need to grind the meats, just skip the grinding. Combine all ingredients but the almond flower and mix thoroughly, if using unground meat – grind it through a fine plate twice. Once the ground meat is combined thoroughly mix in the almond flour. Using your hands form ~1 ounce meatballs placing them on the previously lined baking sheet. Bake for 10 minutes and then turn the broiler on high for a minute or so until the meatballs brown up. And there you have it, stop throwing away all that goodness and enjoy. In spite of the ridiculously warm hunts the deer have been on their feet this year and I am grateful to have taken a couple. The farm I have been hunting has a deer problem, it is not uncommon to see twenty or more deer a sit, which makes every sit exciting. Ten days ago I had what appeared to be a wounded deer come in that was obviously in rough shape and so I took the shot and killed it instantly, if you don’t believe me I will send you a picture of the shot. Regardless upon butchering I discovered that the reason it appeared to be injured is that it was injured, one front shoulder was completely dislocated and the other a bruised ball of mess. Fear not the chickens loved those two shoulders. 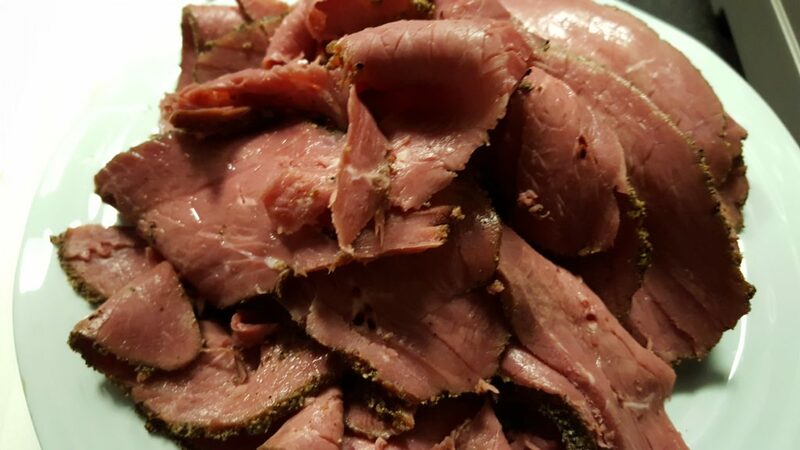 I butchered the rest of the deer you would as any other and set aside two roasts to make…pastrami. I love pastrami, I love corned beef/venison as well but have a special place in my heart for pastrami. I have made pastrami in the passed and it was always just not quite right, either dry or funky or something, well this time I nailed it. It is fantastic, had some last night on pumpernickel with horseradish cheddar and mayo, might have another for lunch. As with other cured meats the process is as important as the ingredients and in this case more so for flavor, with here is what I ended up with. Trim, wash and dry meat. Set aside. Combine cure ingredients thoroughly and rub liberally all over meat. Place meat in a gallon zip lock bag or better yet vacuum seal it and place it in the fridge for at least five days, depending on meat thickness. I went seven for this batch and it was perfect. Turn the bag/pouch everyday. After the meat has cured – remove it from the bag, rinse and place the meat in a bowl of clean water to soak. It should soak for at least a couple hours bur preferably over night or better yet while you are at the office. After soaking, remove meat from the water, rinse again. Pat dry. Combine ingredients for rub, rub liberally all over the meat. Allow meat to sit out. Once the meat is up to 150°F in the center, remove from the smoker, wrap tightly in foil with a splash of water, beer, stock, etc. Wrap this foil packet in a towel or two and let it sit on the counter for a half hour, this is super important to having an awesome end product. After a half an hour slice and enjoy. It will be better the next day. And that is it, pastrami, at home with an animal hopefully sourced by yourself, that is knowing where your food comes from. And if anyone knows where I can find a wild pig running around in Michigan I can know where my bacon comes from too. What is your favorite way to enjoy venison?